The 18-inch Truly Me™ doll has a huggable cloth body, eyes that open and close, hair that can be styled, and a movable head and limbs made of smooth vinyl. 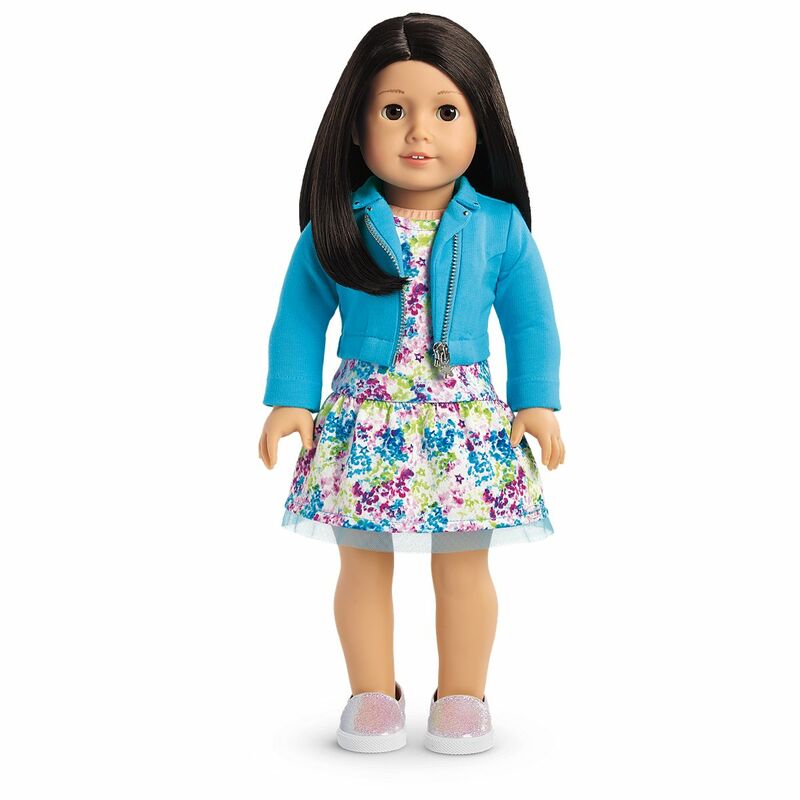 This doll has light skin tone, black-brown hair, and brown eyes. She arrives wearing a printed dress with a mesh hem, a zip-front moto jacket with a star zipper pull, and glittery flat shoes.